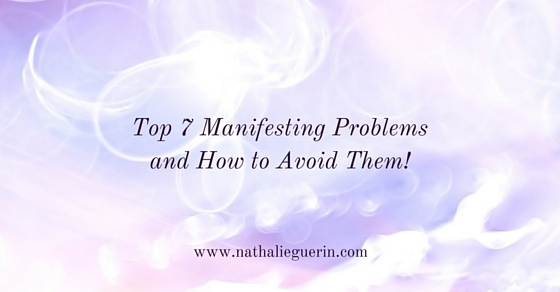 Top 7 Manifesting Problems and How to Avoid Them! That’s the most popular question my clients and friends ask. And they usually sound a little desperate. Their voices are covered in frustration. More often, they are stressed out and may believe their dreams are impossible to bring to reality. You can manifest your dreams. I know because the Law of Attraction says you can attract whatever you want and it applies to everyone. That means you can manifest your dreams, if you want too. If you haven’t been able to manifest, it’s just that you haven’t figured out how yet. The first step is to make sure you aren’t making one of the top 7 fundamental mistakes. Not knowing what you want or having mixed feelings about what you desire makes it hard to manifest. You have to be clear and specific about what you want. If you think you might want a relationship, but aren’t totally sure, the universe will keep you away from relationships. To fix this, you must figure out what you want. Focus on what you desire right now. If it’s only to go out and try coaching, then that’s what it is. The desire for a coaching business might come later. Once you know what you desire, write it down. Be specific. If you are too general, then it keeps you in that space of not wanting. Wanting to be happy is an honorable wish, but it’s not specific. What does your life look like when you are happy? What will you do in your life when you are happy? It’s your birth right to get specific about what you want so you can manifest it. To attract what you want, you have to be a vibrational match for it. If you focus on lack and wanting, you are creating a vibration of not having. That means you attract not having, more lack and want. It’s much easier to write a list of what you don’t want. Don’t want a guy who is married to someone else? Don’t want to have bills that are overdue? Don’t want to have no clients? Then focus on what you do want. Get clear. This is pretty straightforward. If you haven’t given yourself permission to go after what you want, you won’t get it. It’s one thing to desire it. It’s another to decide to make it happen. Until you decide to make something happen, you are telling the universe you will accept otherwise. The solution is to write it out. First, make the decision in your heart. If you are the type of person that is waiting for permission, I hereby grant you permission. No one else can do this for you. The sooner you give yourself permission to go after what you desire, the sooner it can come into reality. You have a dream, so you have a wish. You hope it’s possible. Your job is to move beyond hope and into knowing. When you are in that space of knowing it is possible, your ability to manifest increases exponentially. It doesn’t mean it’s always going to be easy, but it does mean you will be super resourceful. You will find a way. The way to believe something is possible is to actually feel it. How? Get creative. Use visualization. Pretend. Play the as-if game. Play the fantasy game (check it out here). Figure out a way to feel and believe it is possible. Another great way is to start with smaller chunks. I once worked on software project no one was sure would actually work (including me). I started with the chunks I knew. I focused on getting the pieces together. Eventually, I was able to believe in the whole solution. It took more than eight months and help from a consultant, but I did it. Bottom line: If you don’t believe, start now. There’s no easy way to say this. If you haven’t gotten what it is you want, you haven’t taken enough steps to make it happen. Do you have to make everything happen? No. Your job is to take action and allow the universe to work with you. If it’s not happening, you will probably need to do something. If you want to win the lottery, you have to buy a ticket. The universe will help you, but you have to do your part. That action can be taking steps to do something. Sometimes it’s just about getting clear. Sometimes it’s about raising your vibration. Sometimes it’s about clearing your block. If you don’t have what you want, your job is to go out and take action. Every action will move you forward. Only when you take steps will the next show up. You must raise your vibration so you can attract more of the good stuff in your life. If you’re attracting what you don’t want, you’re keeping yourself at a low vibration. To manifest more quickly, increase your vibration. Do something that makes you feel good. That can be as simple as wearing pink underwear or as exciting as jumping out of an air plane. Focusing on what is working is another great way of doing this. What makes you feel good? Go out and do it. 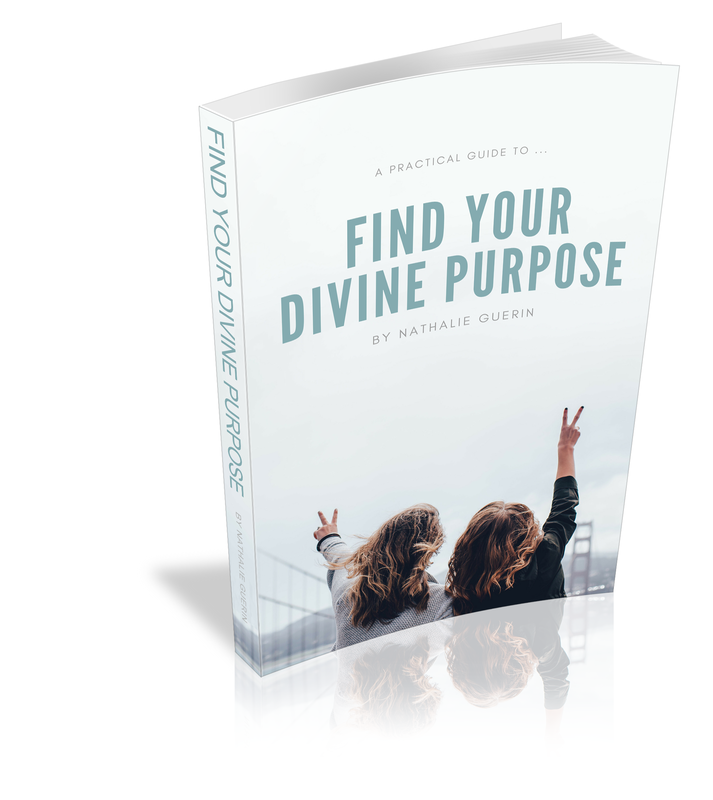 If you are struggling to manifest, it’s because a part of you is blocking. This can be fears, doubts or limiting beliefs. Blocks can prevent you from attracting what you want and from taking action. If you encounter resistance, deal with the blocks ASAP. The bad news is you have millions of fears, doubts and beliefs stopping you from manifesting. We all do. The good news is you don’t have to clear them all. You just have to clear your resistance. There are lots of different ways to clear your blocks. When I work with clients, I use a combination of coaching and Theta Healing techniques. But you can do something about your blocks right now. Google EFT tapping. Are you making one of the above mistakes? If so, take some time to fix it and try again. Remember, you haven’t come this far to drop everything. What you want is within your reach. Fix the problem and keep going. Eventually, the manifesting pieces will fall into place. http://nathalieguerin.com/wp-content/uploads/2015/05/BLOG-Image-33.jpg 292 560 nathalieg http://nathalieguerin.com/wp-content/uploads/2018/11/logo-black-watercolor-belini-300x194.png nathalieg2015-05-21 18:38:042016-06-04 03:41:49Top 7 Manifesting Problems and How to Avoid Them!